A retrospect of a seven year career in law, from long call, practice and activism, to in-house work. Come 28th February 2010, I will be celebrating my 7th anniversary of being called to the Malaysian Bar, if I were still in practice that is. Nevertheless, it is still my 7th year of working life. 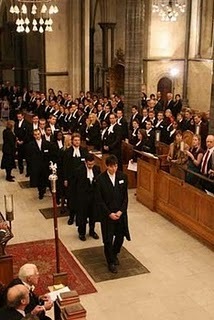 I graduated in 2002, did my pupillage for 9 months and was called to the Bar on 28th February 2003. There were seven of us who were called that Saturday morning. I was the youngest at 24 but all of us were still infants in legal practice. I was called with two other classmates from university. All seven of us were from different firms. A mixed batch – two boys, five girls, four Chinese and three Malays. Some did corporate/conveyancing, some both and the others mostly did litigation. Despite our differences, we collaborated and planned the whole affair together. I remember we divided the work. I was in charge of the invitation cards. Some organised the food and others drove to KL and Putrajaya to serve our notices. Then it was time to fix the date and court. The judges in JB (Johor Bahru) at that time took turns to hear petitions for Call to the Bar. I suppose it was destiny for us to get called before Tuan (is he a datuk now?) Syed Ahmad Helmi’s court. Our Long Call ( another way of referring to Call to the Bar) was the last before the High Court moved to Menara Ansar to make way for renovations. My whole family was there – aunts, uncles, cousins and my late grandma. It was a proud moment for all of us. After 1 year of pre-law, 4 years of law school and 9 months of pupillage, I was finally an advocate and solicitor of the High Court of Malaya. The whole long call was a grand affair in JB. It is a tradition in JB that newly called lawyers celebrate by treating the entire court to lunch. The whole court system will fail without the file searches, bailiffs, clerks, etc and since the long call is a once in a lifetime event in a lawyer’s life, why not? It was a happy day and I guess lunch was the least we could do. While the guests and staff had lunch outside, the newly called lawyers and parents had lunch with the judge in the dining hall. Another JB tradition. From the seven who got called on that day, only four are still in practice. Two left after their Call to join PTD and the AG’s chambers. I joined a company as an in-house legal counsel 2 years ago but I bet all of us will still remember our Call day. It was a happy day for all. I prefer being an in-house legal counsel to being a lawyer. However, to say I didn’t enjoy my 5 years of practice altogether would be a lie. There were moments like the first time I won my first trial at Small Claims Court and the managing partner congratulated me at my firm’s weekly lawyers meeting for winning that case and many others after that. There were the lows like dealing with bad and unappreciative clients, difficult opponents, bad cases and bosses on their bad days but I guess that is what life is. What a bore it is to live life at gear one all the time. There must be ups and downs or we will never learn. I also enjoyed the many breakfasts after hearings, mentions and trials and the traveling. Of course, the traveling, tiring most of the times but how else would I get the chance to drive to obscure places like Labis? What I enjoyed the most was the people I met and worked with in the NYLC (National Young Lawyers Committee), human rights and Orang Asli [sic]. It felt really good working with people around the same age as you who have the same ideals and inspiration to make Malaysia a better place. I didn’t spend a lot of time with them but in that short span of time, my mind and life were broadened like never before. Lawyers often forget that they have the capacity to change, be it from the client they helped to draft a will, to changing the law of the country. If you want to more change, you have to start somewhere and I think working with these groups help. You don’t have to do it forever but do it at least once in your career. It makes you feel better that you have done something. It may not be much, like giving a legal awareness talk to the Orang Asli, but you and I know that something is better than nothing. This will also create a better image for lawyers because society must know that we care and lawyers are not sharks and bloodsuckers who are only out to get more out of their pocket. So that was practice. I have been a legal counsel for 2 years now and coming to my third. It may not be as eventful as practice but I like the work more. I am finally doing something that I want to do and am enjoying it. Nevertheless, memories from practice will still linger. LoyarBurok Editorial Note: This piece was originally posted in the writer’s blog, ‘A Diamond In The Rough‘ and appears in LoyarBurok courtesy of the writer. Life is not meant to be lived in linear. Predictability is boring, make it an adventure. Posted on 21 March 2010. You can follow any responses to this entry through the RSS 2.0. Read more articles posted by Noreen Ariff.